Normally $10 per person for a one-year membership, this package special gives you the opportunity to give your choir members their own access at special volume discounts. Offer expires 7-15-2013. 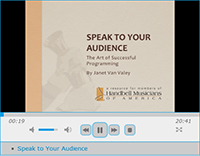 Learn some of the finer points of programming a handbell concert with Janet Van Valey’s Speak to Your Audience presentation. The Korean Handbell Association (KHA) invites you to Jeju, Korea, for the 16th International Handbell Association. The event is planned for August 5-9, 2014 and registration fees have been set at $800USD. JEJU International Convention Center is proud to present an elegant, world-class convention facility with fantastic views of Mt. Halla (a UNESCO World Heritage site) and the Pacific Ocean. Tamna Hall, its largest space, can accommodate up to 4,500 participants, theater style and 2,000, banquet style. Visit JEJU Convention Center’s website here. Watch for more information soon. When we heard that animals were killed in a flood affecting the Lake Superior Zoo in Duluth, Minnesota, we felt helpless. Little did we know then that the handbell community would be instrumental in our efforts to help. We expressed our grief by writing music to memorialize the animals lost. 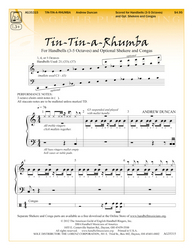 Initially conceived as music for handbells and Native American flute, it became music for 3-5 octaves of handbells with any C descant instrument. As we wrote, we started thinking of ways that we could provide some concrete help to the zoo and decided that we would could attempt to publish the music and donate all of our royalties. This was not a goal that we could attain by ourselves, and we weren’t sure we could succeed, but we soon learned that the handbell community is made up of true team players. 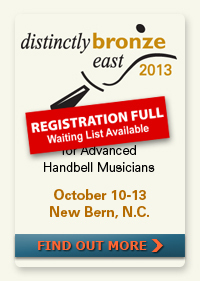 So many people in the handbell community rose up to help! Flagstaff Publications agreed to publish the music. 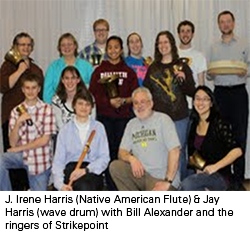 When we sent the music to Strikepoint, a world-class handbell ensemble from Duluth, their coach (Bill Alexander) immediately agreed to premier the music. Carol Scheel of Heitz Handbells and Linnea Fitzpatrick, the editor of the Area 7 Clapper Chatter helped us by sharing news of our efforts to help with the local handbell community. 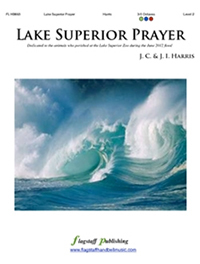 This composition, “Lake Superior Prayer” is now available at handbell retailers, and is hard at work to help raise funds to help the zoo make repairs and renovations to keep their remaining animals safer. This could only have happened because handbell musicians learn the skill of making music in teams and use that to support their communities in teams. We are touched by the compassion we have found in the handbell community and plan to continue writing, ringing, and contributing to this community as long as we are able. Have a story you want to share? What inspires you about handbells? 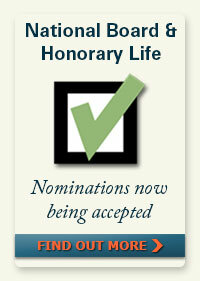 Why is membership in the Guild important to you? Why are handbells a part of your life? Send us your story today by contacting your Regional Membership Coordinator. Do you have Fred’s Pants (the pair of jeans Fred left behind after an event that have become the go-to item in Guild silent auctions for the past several years)? What about something that represents your state or your Area? 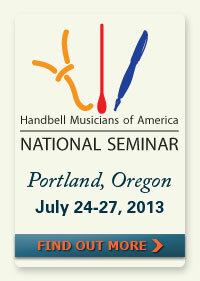 Are you a quilter or other crafter who is willing to donate an item to support Handbell Musicians of America? Yes? 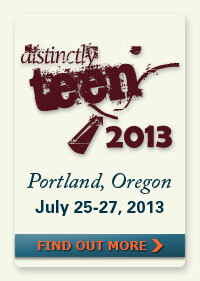 Then we need your help now for the annual National Seminar Silent Auction. This is the major fundraising event each year for the Guild, and the funds raised at this year’s auction will support the Heritage Fund. This new operating endowment was established by the national board of directors to provide sustaining revenue for the day-to-day operations of Handbell Musicians of America. Learn more about the Heritage Fund and our campaign to build it HERE. So, be creative and support the Guild by getting involved with the National Seminar Silent Auction. You don’t have to be at the event to support the Silent Auction. Just send something ahead to be included. Our hope is to have something from every Area and possibly even EVERY state. For more information about how to donate an item to the Silent Auction, go HERE. It’s time for some hot weather and hot music! If you don’t know Andrew Duncan, he has served for about six years as the membership chair for Area 6. He is now chair-elect, and will be chair for Area 6 beginning this October. He is helping with the Area 6 Festival in Hattiesburg, Mississippi, this June and will be conducting the Advanced Track. He also works with the Knoxville Area Handbell Festival. He is an avid composer and arranger for handbells and has music published with AGEHR as well as his own handbell music website, Ring Press. I asked Andrew if he had a favorite part in the piece and he replied, “I had to smile when I had the idea to ask the handbell ringers to sing along in the middle of the song. It is a happy tune, but that section seems especially joyful and relaxed, and it grooves all on its own. The percussion is wonderful with the piece, as it anchors the rhythm and propels the piece along.